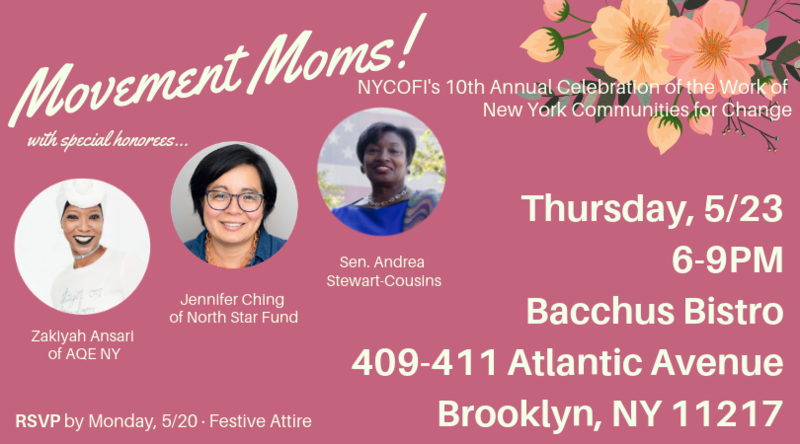 Join us at our 10th annual gala to celebrate movement moms! We will be highlighting the many mothers who have helped raise generations of activists and organizers, the unseen labor of mothers, and bring to the fore the work carried out by mothers which builds the foundation of our movements. Please RSVP by Monday, May 10. See you there in festive attire! To give a tax-deductible donation, please visit here. You may receive updates from New York Communities for Change (NYCC), the sponsor of this ticketed event.